Pocket Gift Card Holder. Want Fries with That? 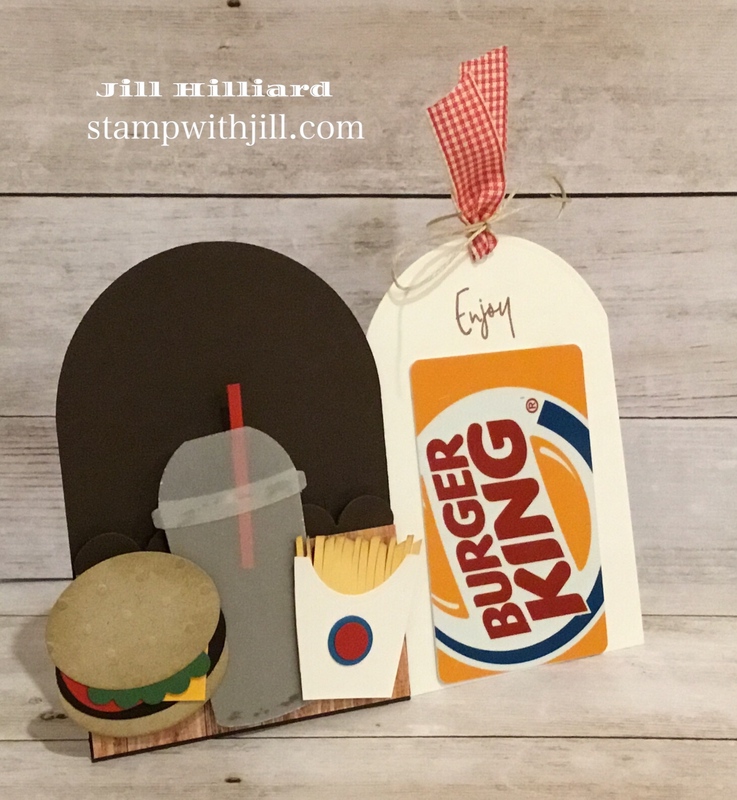 How cute is this punch art (die cutting really) hamburger and fries Scalloped Pocket Gift Card holder? My son gave these to his summer swim coaches as an end of the year gift. I love that he gave them burgers and fries! and that he still lets me make things to give as gifts! Below is video tutorial to show you how easy it is to make the both the punch art and the gift card holder. I am not gonna lie, these were really fun to make! And they cover the need for “masculine” projects too! The base of the gift card holder is the scalloped pocket die cut in cocoa powder card stock. This die is becoming one of my favorites!! Makes creating gift card holders a BREEZE! 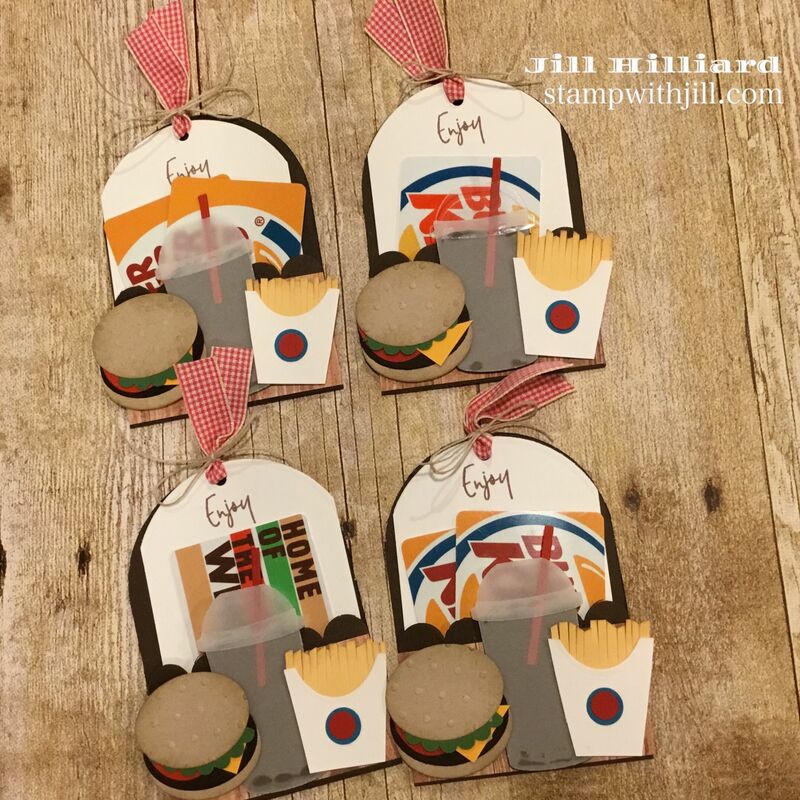 The Burger and the Fries are created with Oval dies, scallop punch and some scraps of card stock. I used the coffee first dies for the cup. The “soda” is dark roast card stock, cut with the die then hand trimmed at the top. I need to find some good vellum adhesive. the is the only thing I don’t like about this is that you can see the glue. What vellum adhesive do you use? 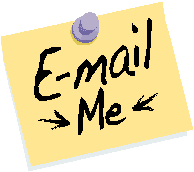 drop me a comment below! I attached the gift card to the whip cream using a glue dot! These fit nicely into an A2 envelope. This handmade gift card holder is perfect for any food lover, Birthday or Father’s Day. and it holds treats too not just gift cards. Need to see a few more Scalloped Pocket Die Projects? check them out this coffee one here and a chocolate holder here. FUN!! 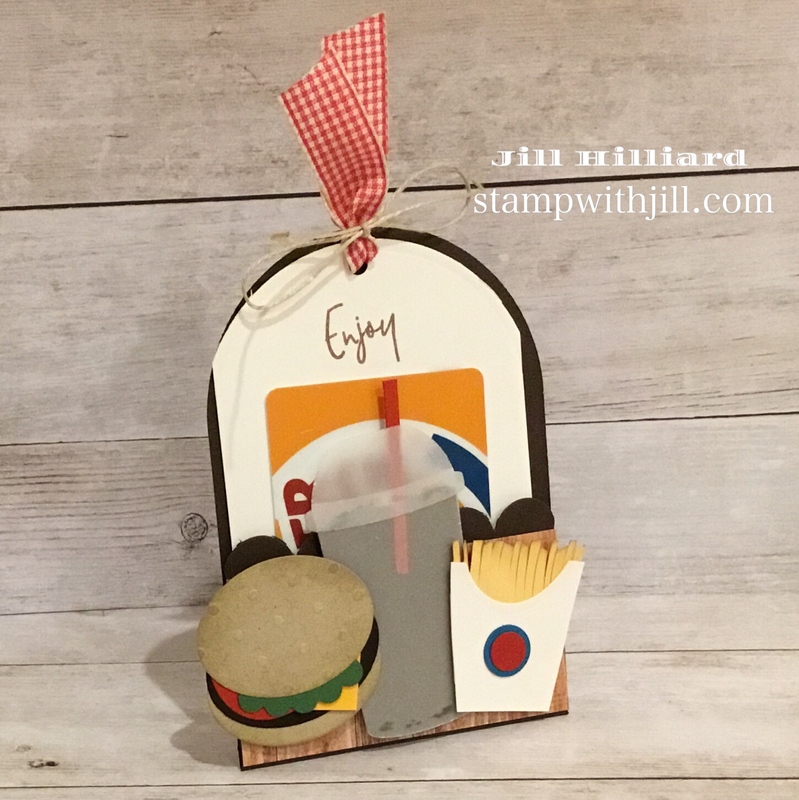 All supplies are Fun Stampers Journey! Click the images to shop in my online store.